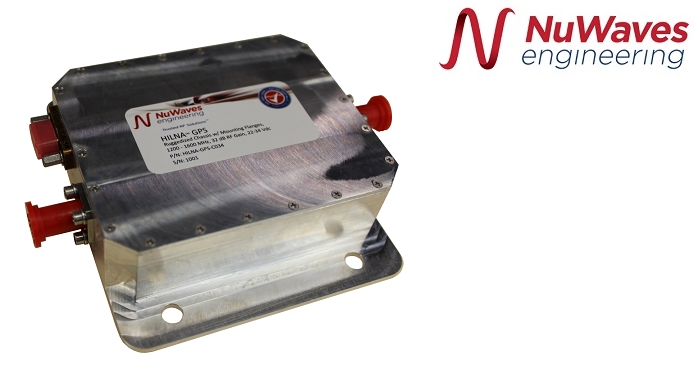 NuWaves Engineering has released a ruggedized, high-performance low noise amplifier, the HILNA GPS C034. The HILNA GPS C034 is a broadband low noise amplifier designed to achieve high gain while maintaining a low noise and a high third order intercept point, and is specifically targeted for the L1 (1575.43 MHz) and L2 (1227.6 MHz) GPS signals. The ruggedized, high-performance module delivers 32 dB of gain across the frequency range of 1200 MHz to 1600 MHz with an OIP3 of +30 dBm and less than 1 dB of noise figure. The HILNA GPS C034 is usable up to 2000 MHz with a gain of over 28 dB. The module’s robust power supply also operates over a broad 22-34 VDC range, easily allowing the unit to be integrated into systems without regard to power supply precision. The product is targeted at GPS systems needing an LNA that will work in harsh environments, such as launch applications. 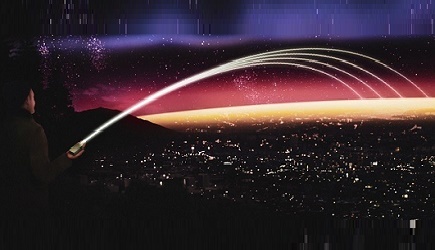 Click here to view NuWave's LNA portfolio.